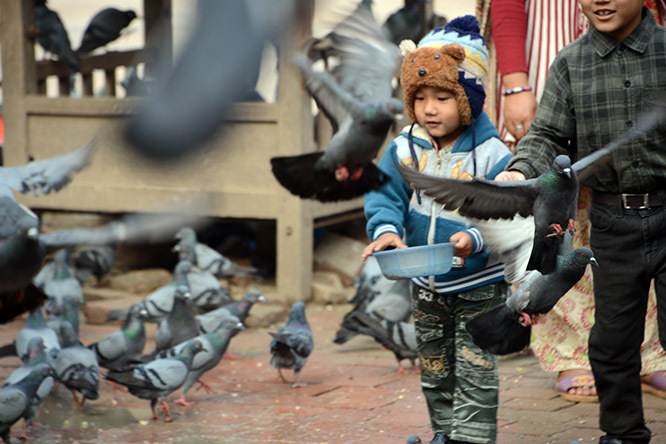 My first experience in Kathmandu was visiting Durbar Square. This ancient district has had religious and royal palaces here as early as the third century. The main palace in the square was built 1,000 years ago. 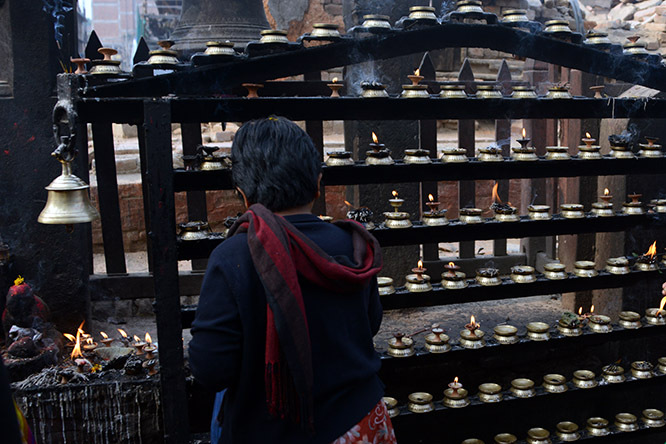 The earthquake of 2015 heavily damaged nearly all the structures in Durbar Square, and sadly some temples were even completely destroyed and no longer exist. If you noticed in the first photo, the temples are covered with doves. At the base of this temple there’s a lot of people selling corn and other seeds to feed them. Nepal wasn’t as touristy as I expected, perhaps because of the recent earthquake. I expected this area to be packed with foreigners but I only saw a handful of them. Mostly I saw families with young children visiting. This Nepali boy above was having a blast for sure! 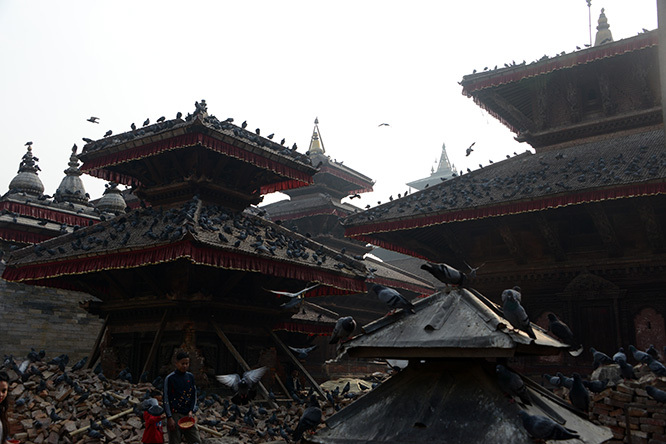 As soon as I entered Durbar Square the damage from the earthquake was obvious. 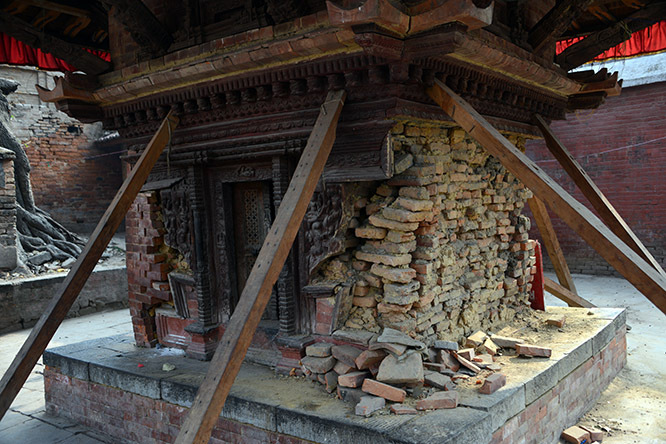 Many temples were being supported by wooden beams, others had missing or loose bricks, some had giant cracks and the walls, and even as I mentioned earlier a few no longer existed at all. 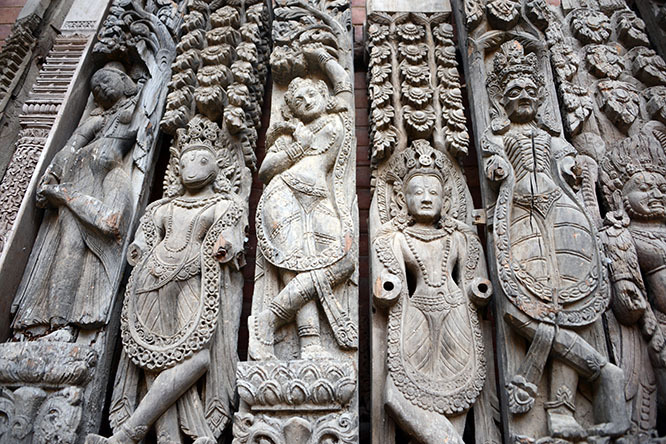 The ancient woodwork photographed below was temporarily removed after the earthquake in order to help restore and repair the damage. A local told me that this woodwork is about 400 years old. I entered the Royal Palace’s courtyard within Dubar Square. I didn’t take any good photos of the entire courtyard so I’ll just post this one above, that shows some of the detailed artwork that went into the buildings. 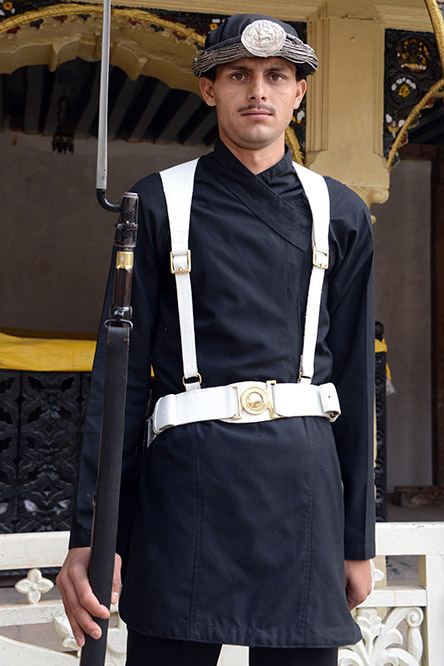 Below is a Royal Guard of the palace. There was significant damage here too of course from the earthquake. There were some enormous cracks in the walls, and most of the palace now is being restored and covered in scaffolding. This photo above shows the Durbar Kal Bhairav shrine. 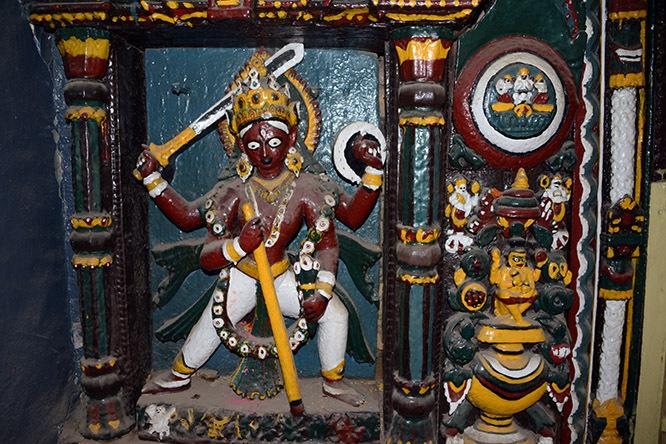 Kal Bhairav is often seen as the god of justice, and it’s believed that if you tell a lie in front of him you will lose your life instantly. 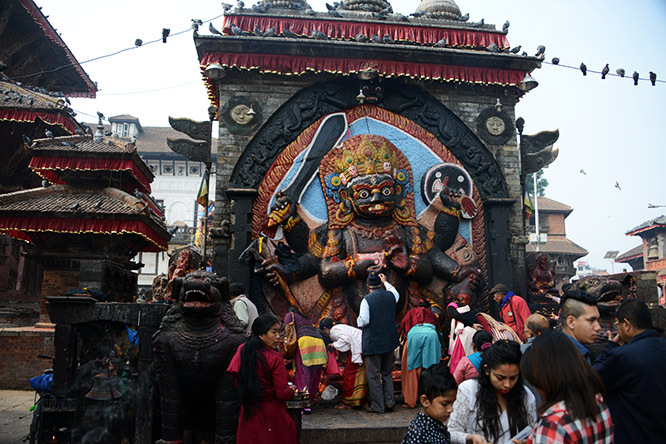 Hundreds of years ago government officials would hold trials in front of this image of Kal Bhairav for that reason. The date is unknown but it’s without question several centuries years old. 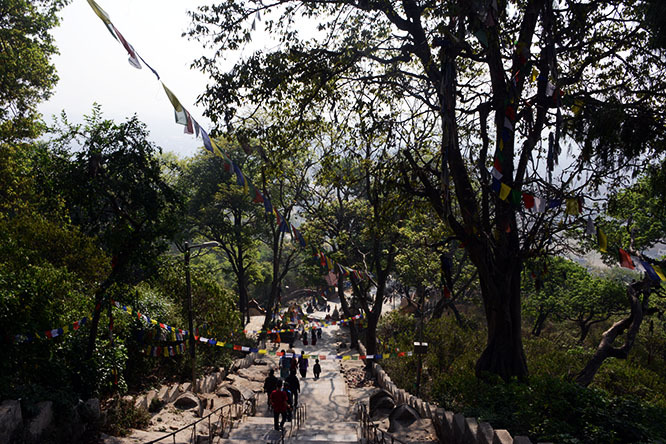 Below is another nearby shrine where prayers candles are lit that was located right in front of Kal Bhairav. I saw these all over Kathmandu. 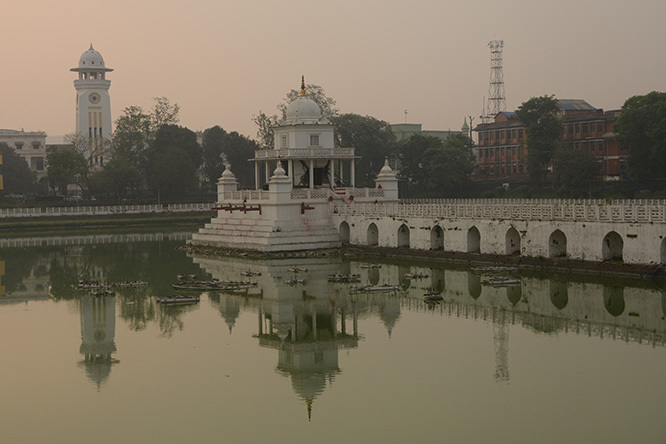 Back outside of Durbar Square, I came across the Rani Pokhari temple, otherwise known as the Queen’s Lake in English. Of course I found the temple to be beautiful, but never did I imagine it had such a dramatic tale behind it! Legend has it that a king built this temple for his queen, but after their son was killed by an elephant she sank into a depression. Nothing could be done to make her feel better, and as she grew more and more depressed the lake itself began to recede. Supposedly it was refilled by diverting rain water from the monsoons here, but the negative energy remains. Part of the legend says that after the Queen passed away the waters would attract women to the lake and encourage their suicide. Some even say that so many died that this large fence built as a barrier. 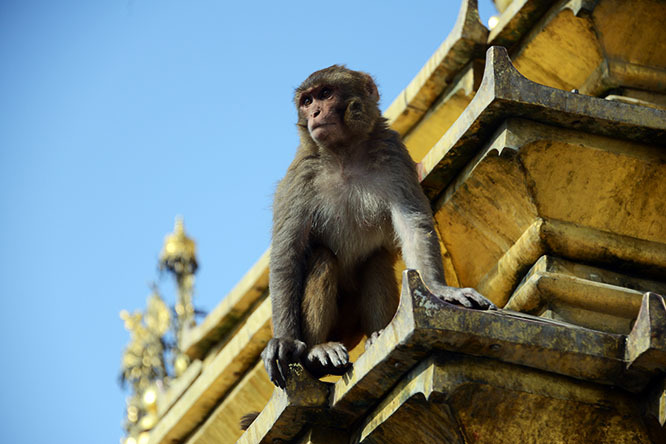 I had stumbled upon the Rani Pokhari temple as I explored the city, but the following day I set out for the famous Monkey Temple. 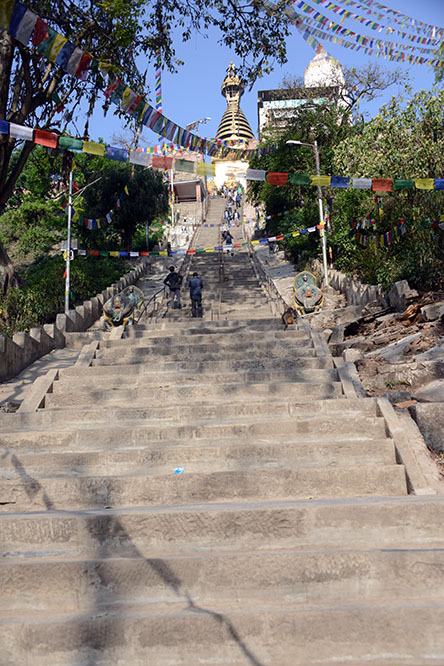 There are hundreds of steep steps you have to climb in order to reach the temple itself, and it’s certainly a good little workout; especially for me since I was getting ready to attempt Mt. Everest in a few days! The photo above shows the view looking down and the photo below is the view looking up. Of course there are monkeys here that got this temple its nickname, but in all honesty there weren’t nearly as many as I had expected. I actually think there were an equal amount if not more dogs here, so the dog temple might be more appropriate! There are lots of Hindu stupas and reliefs carved out of stones here. A few other tourists were present, but the vast majority of people here were locals coming for prayer. The statue above has some fresh incense that someone just lit, while other parts had many candles and places for prayer. 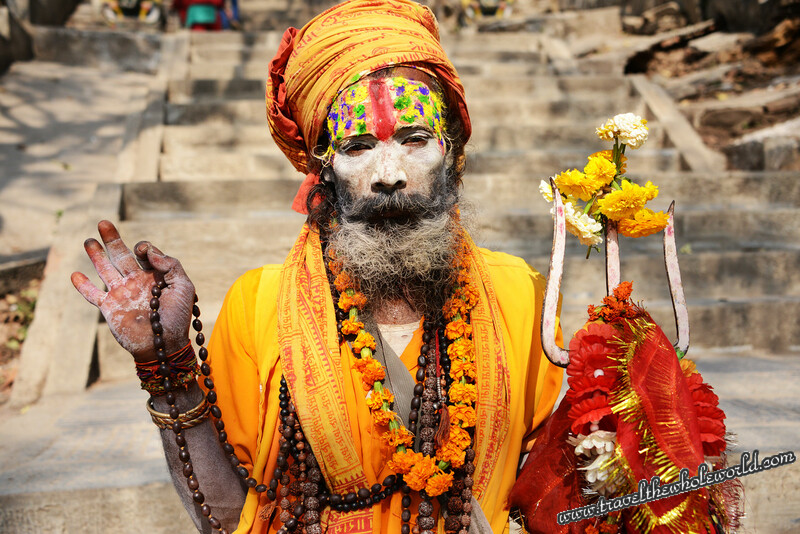 Below is a picture of a Hindu holy man that I took while at the temple. 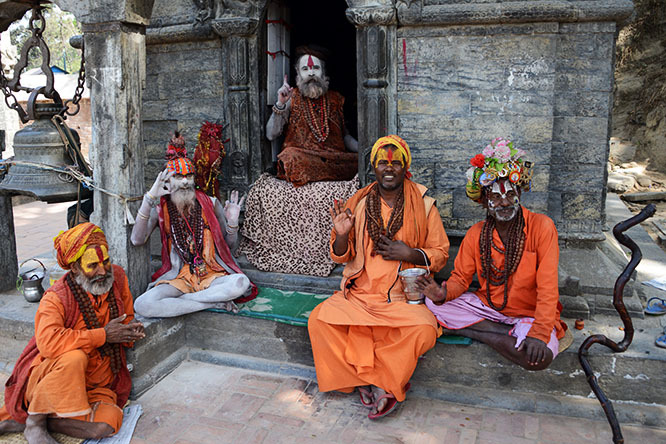 The people of Nepal like many parts of this region of the world are very religious. I was convinced by a local to purchase this Mandala, which is a way to protect yourself from bad luck. Of course he was trying to make a sale and said I would need it for protection, but being that I was attempting Everest in a few days I figured it wasn’t a bad idea. 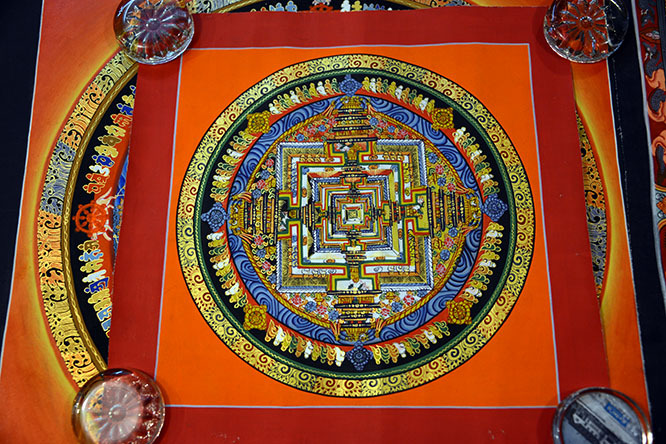 He had explained that Mandalas can range in price from $20 to over $100,000. There are different colors that each have a mean different things. Orange I was told is for knowledge, black is for mystery and deep thinking for example. 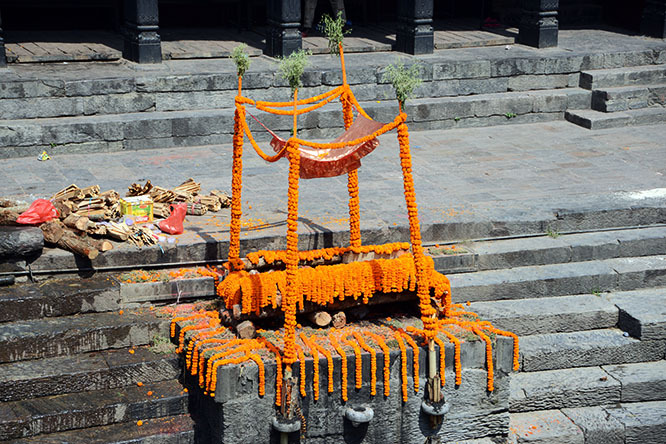 One of the most interesting visits in Kathmandu was to the Pashupatinath temple along the Bagmati river. This area reminded me a lot of Varanasi in India, because like that city religious ceremonies and cremations take place along the river. 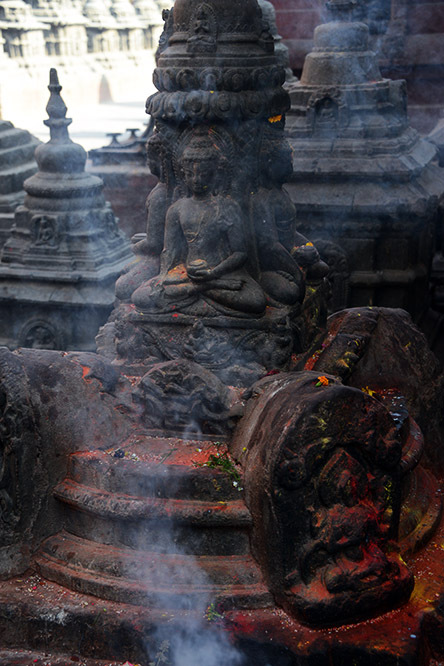 Above is a photo of Hindu priests in the Pashupatinath temple. One side of the temple has cremations reserved for common people, while across a bridge to the north is a location where cremations for the more wealthy take place. 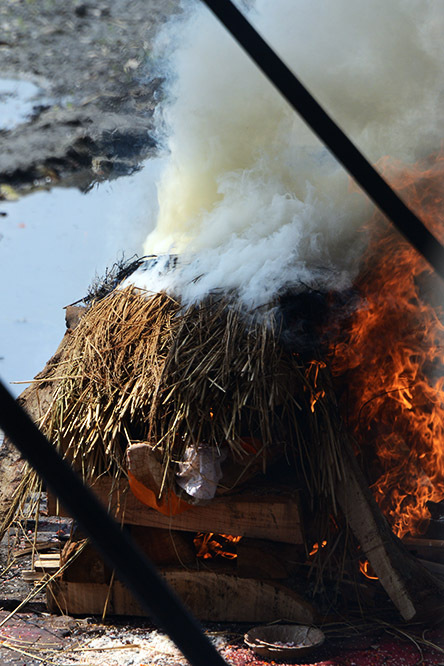 The photo above shows a body that was just lit afire. The locals told me that it takes about four hours to completely burn the body through. This one above was on the south while the photo below shows a cremation area prepared for upper class citizens. It’s clearly more expensive than the poor side, but I’m not sure what the difference is spiritually if any. 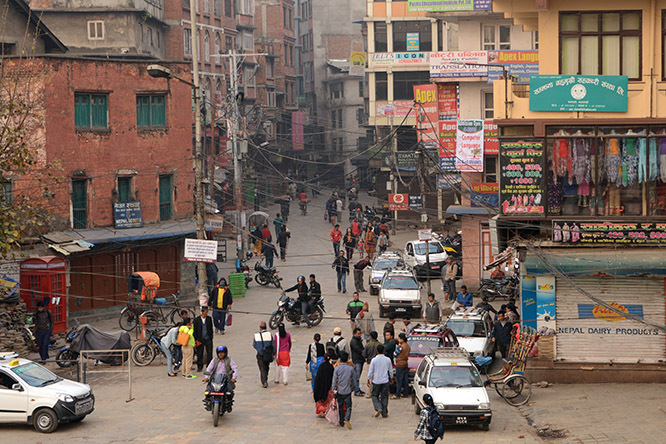 Back in the heart of Kathmandu, I took these pictures above and below as I was walked around the city. 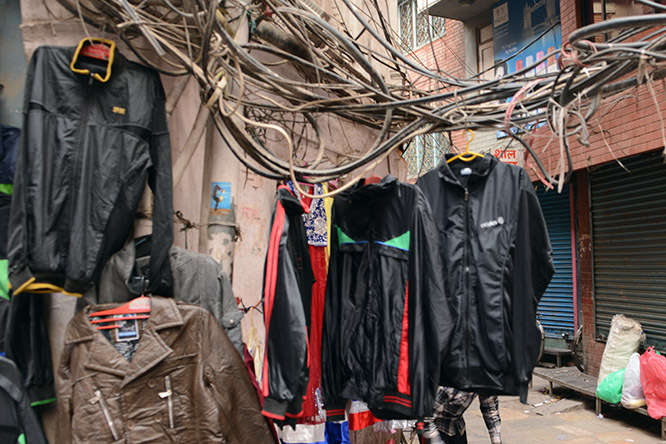 It’s densely populated with a population of over a million people. I actually found it a little hard to take photos because I felt any direction I pointed my camera in, I was likely to be in someone’s face. 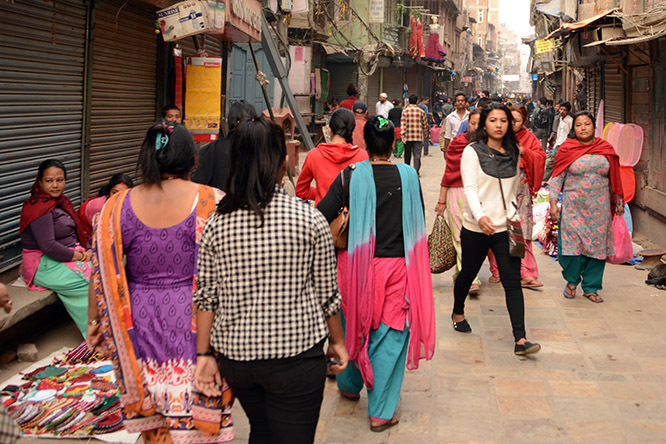 Fortunately the population of Nepal is pretty welcoming and not bothered by photography! 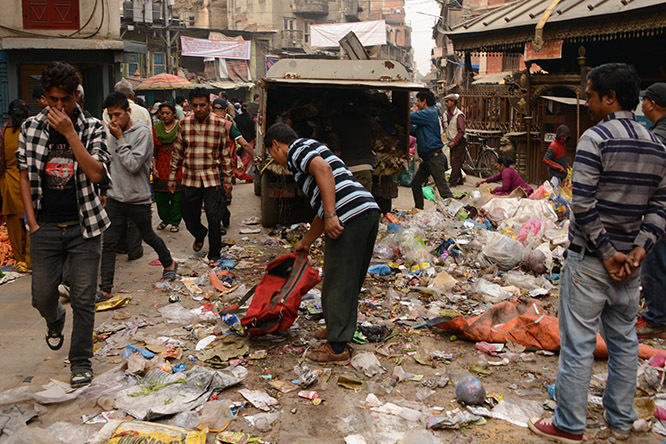 After visiting nearby northern India and being traumatized by some of the gross smells and trash that covered the entire city, I’m proud to say that Nepal is incredibly clean in comparison! I’m not sure why the trash above is scattered all about, but I saw people loading it up in trucks like this several times throughout the city. I assume maybe the truck pulls up and people dump their trash out in a pile for collection. Otherwise I’m not sure why they wouldn’t just put it directly into the truck themselves. Like India though, the streets were lined with an entanglement of power lines, sometimes at eye level. Someone even took advantage of them and used the power lines to hang up their shirts that were for sale! 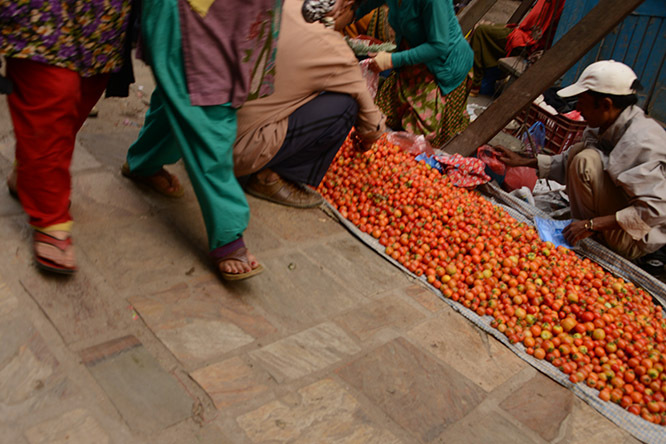 It seemed like the every corner had people selling an enormous pile of vegetables and goods. There seemed like so much competition I’m not sure how these people made a living. Recovery from the earthquake appears to be painfully slow. This roadwork above I’m sure isn’t related to the earthquake recovery, but regardless you can see how slow it must be when doing most of the work with human power and not many workers. 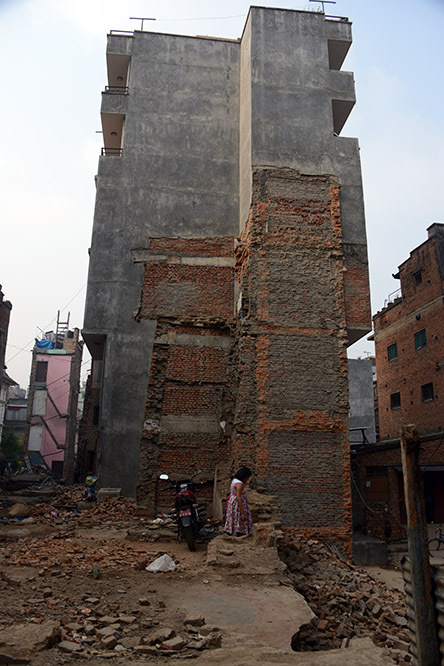 The photo below shows a badly damaged building from the earthquake a year later. 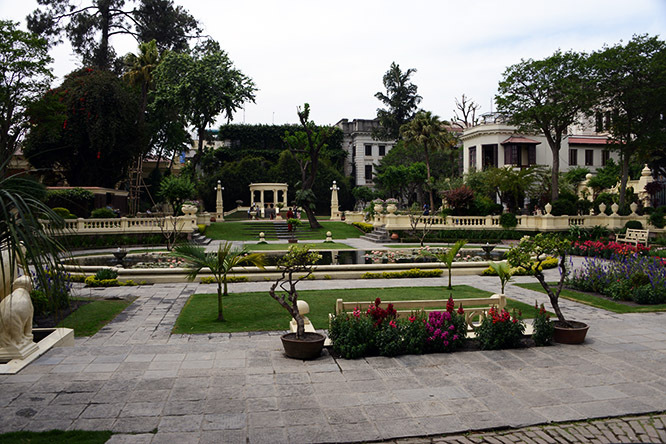 Possibly my favorite place in Kathmandu was the Garden of Dreams. Nepal is one of the poorest countries in the world, and coupled with the earthquake damage there weren’t many impressive sites in the city at the time of my visit. 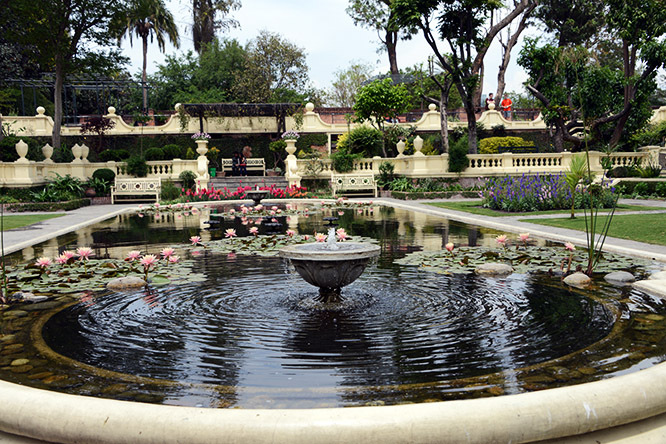 I didn’t have any expectations when I visited the gardens, but I had read good things about it and figured it was worth a shot. The place was surprisingly well kept and a little oasis in this otherwise dusty and smoggy city. When I came back from the mountains this was one of the first places I returned to! Also within the gardens there’s an awesome cafe where you can get some high quality coffee and deserts. It’s really a great place to just relax and take it easy. There were lots of couples here spending time on the benches or laying out on the grass and the weather was perfect outside. 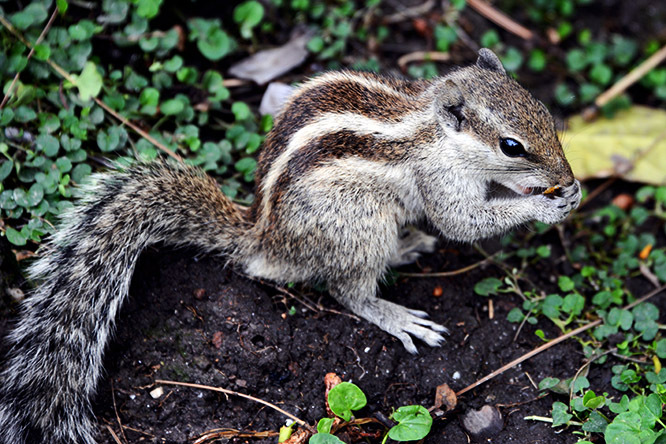 It looks like these little squirrels above have also realized the beauty of the Garden of Dreams and took refuge here. I didn’t see them anywhere else in the city!